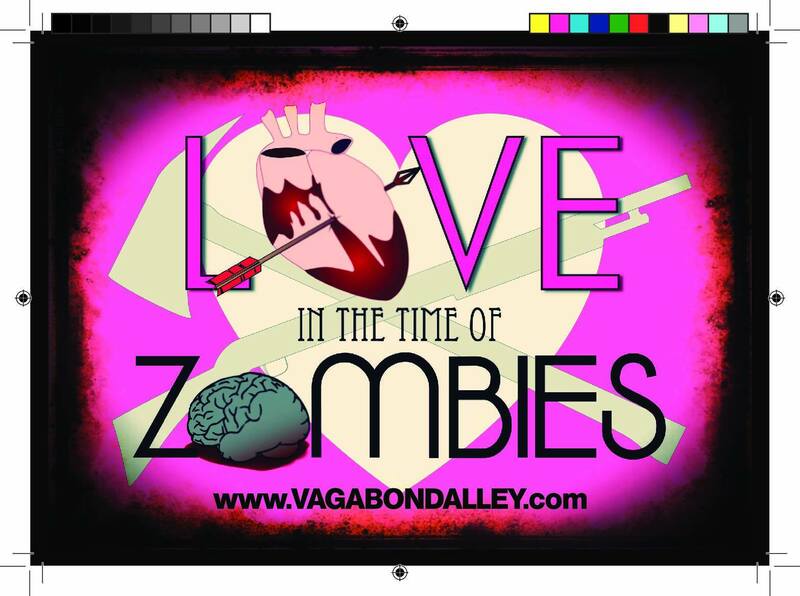 Love in a Time of Zombies – Vagabond Alley Productions | Damian Trasler's Secret Blog - Do Not Read! The flyer for the show – you can still get tickets! On Saturday I drove Mrs Dim down to Seattle. For the first time in years, a play of mine was being produced within driving distance, and I was determined to see it in person. Despite having over eighty scripts available, and those plays being bought and produced somewhere in the world every month, it’s rare to get a chance to see a production. Susan (D’Arcy Harrison) nearly brains Brian (Jason Sharp) as he comes home from foraging. D’Arcy Harrison, the Producer and one of the actors in the show, had been in touch a number of times to check details. Since the script was very British, there had to be a number of adaptations for the North American setting D’Arcy planned to use. I was keen to see how this turned out. Mrs Dim was keen to spend a night in a hotel and get the chance to visit Seattle. When we were checked into our hotel and were dressed for Seattle nightlife, Mrs Dim and I met a couple of friends in a place opposite the venue. We shared a great meal and a lot of talk – one of the friends was at school with me, and his wife is great fun and a Seattle native. They came to the show with us, and we took seats in the front row. The performance space is downstairs, provided by Pocket Theater. It was black walls and bare lighting bar, with the simple set only separated from the audience by a couple of feet – no raised stage. The whole thing felt very intimate. There looked to be seating for about forty people, and the seats were already half full. The director, Amelia Meckler, came over to shake hands and say hello. She was very excited and a little nervous, which made two of us. It’s been a few years since I wrote the script, and I haven’t re-read it recently, so I was interested to see how much I would remember, and whether the little changes that had been made would stand out for me. But the lights went down, and the soundtrack started up, and I forgot all about comparing the script with the show. The soundtrack was a mish-mash of radio broadcasts showing the spread of the Zombie Apocalypse. Not something I’d written, but a device concocted by VAP, and it worked brilliantly. The mood was set, and when a hand came through the blinds of the window at the back of the set, the audience was hooked. Brian isn’t as pleased as Susan when a handsome and apparently NOT dead visitor (Robert Hankins) comes to call. VAP used a simple set, just the sofa, a suspended window, a table and chairs and a stairway behind a curtain. The entrance to the house was a blocked off door, but the door wasn’t there – just the heavy chest that blocked it. Everything was neat and spare and worked very well. Jason Sharp opened the play as Brian, entering after another day’s hard foraging and fending off zombies, and he was welcomed home by D’Arcy Harrison as his terrified wife, convinced he’s either a zombie or a hostile survivor. The dialogue flowed brilliantly, with the pair communicating as much through their expressions and body language as with their words. They were clearly a long-married couple with many unresolved issues. Those issues were already a problem before the handsome stranger, Harry (played wonderfully by Robert Hankins) arrives and pushes things over the top. It was a terrific evening. The show was captivating, and came with the bonus of enthralling Mrs Dim. She has never seen a play of mine that I wasn’t acting in. 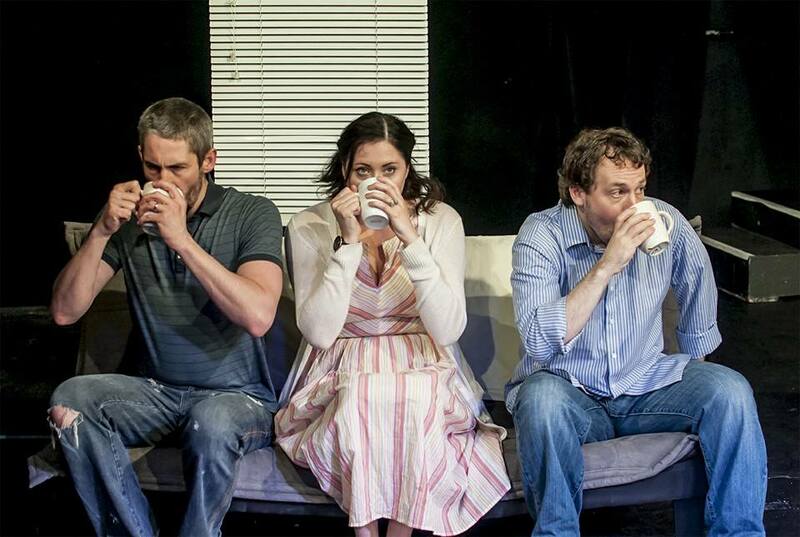 It’s one thing to say to people “My husband is a playwright.” and to see the royalties come in from time to time, but it’s quite another to see people cheering an applauding a production that he wrote, to hear from the actors how much they loved the script, how much fun they had. For me, it was what I imagine authors feel when they see their novels in the bookstore. This is what my scripts are for. Although I write them, they aren’t complete until they are performed, and it’s the actors and directors who bring the words to life. For that, I will be forever grateful to them. For more information, check out Vagabond Alley Productions or see the online trailer. 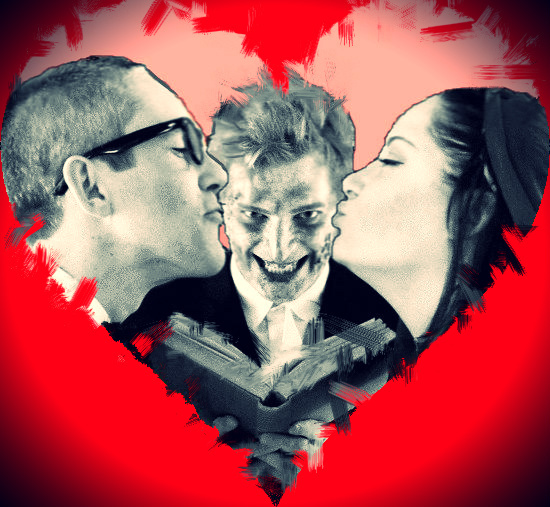 This entry was posted in Play in Focus, Writing and tagged Damian Trasler, live theatre, Love in a time of zombies, plays, scripts, theatre, Vagabond Alley Productions, zombie, zombies. Bookmark the permalink.